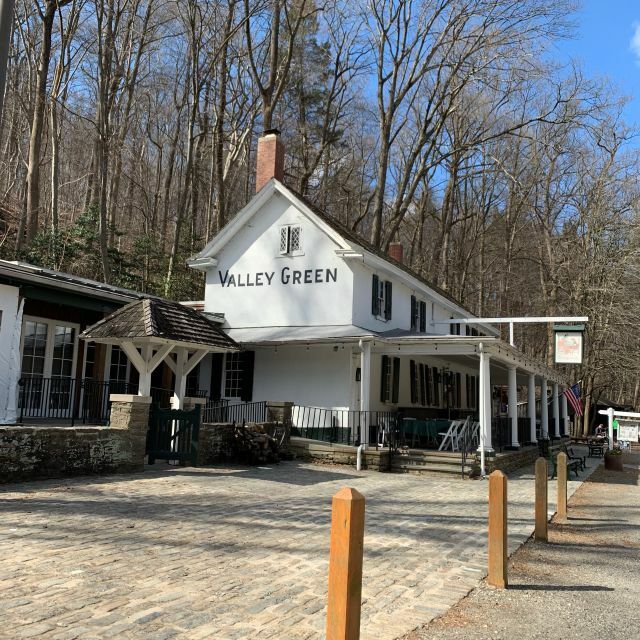 You must make reservations at least 5 minutes in advance of the time at Valley Green Inn. Located in the Wissahickon Valley, the inviting atmosphere of Philadelphia's last remaining roadhouse is one of the city's best kept secrets. 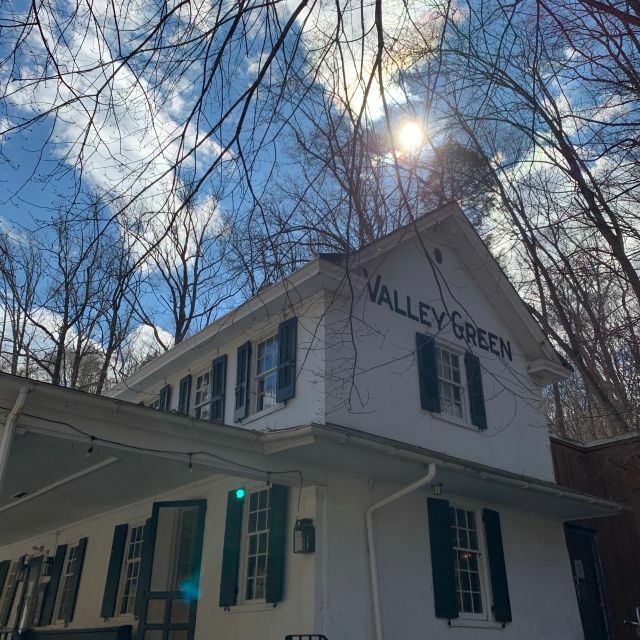 The Valley Green Inn is just waiting to be found in the bustling metropolis of America's Birthplace. The menu was very light on vegan and vegetarian entrees - only a veggie burger. That's disappointing and not at all creative. But the meal was delicious and service was good. The room was quiet, but there were only two other tables occupied. It occurred to me that if the room had been full, it probably would have been noisy. This venue is wonderful for a family walk and lunch or brunch. On this particular Sunday the restaurant itself was not full at the time we reserved but a large party was in their function room. I’d guess that is why we waited 20 minutes to be seated past our reservation time. Service was extremely slow though our server was very nice. Food arrived almost an hour after we sat down. And it was lukewarm at best. I really enjoy an outing to this inn and have had good experiences in the past. But this time was very disappointing. I’d suggest they consider more staffing on event days. Picturesque spot. Watch out for potholes approach the location. Great outdoor setting and always quality food /service . We enjoy Valley Green for the ambiance and wonderful food. It is a very charming Inn with a lot of character and we did not expect to be so delighted with the food. We have been there several times and every time the food has been delicious. Would highly recommend! Excellent Sunday night dinner! Highly recommend the catfish. There were only 3 other tables of guests during the evening so it was super peaceful and pleasant with the fireplace going. Our waiter (Sean, I think) was terrific! Would definitely go again. Lovely Sunday afternoon brunch. Feels like you’re hours away from the city, like a little mini vacation. 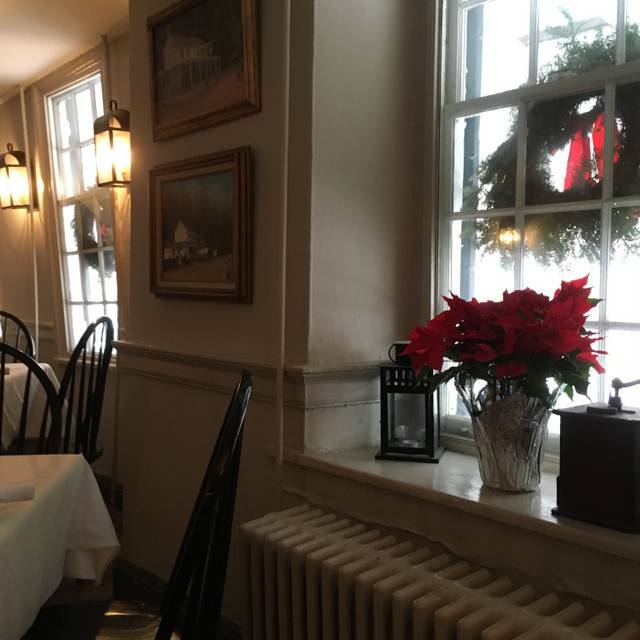 Charming and quaint dining room, attentive service, and good food. Love the location and have been going there over the years (last 25 years) - the food has not improved while much investments have been made to improve the physical location. They need to balance with smaller portion size and improve the culinary aspect of the menu/food served. fabulous food. the lentil soup was out of this world. Thank you to the staff which did not get bent out of shape when half of our party was 30+ minutes late. My extra-cost omelet was a scrawny little thing with the extra stuff inside the fold. I could not discover where the short rib was and there didn't seem to be any goat cheese. My wife's french toast was lacking maple syrup but did have a surfeit of whipped cream. She ate about half of it. Cannot comment on the other two entrees. I should have just asked for a 3-egg cheese omelet instead of the two omelet choices offered. The location and environment are very nice and we had been to VG several times prior, but never for brunch. Wonderful staff, very calm under pressure, made us feel so at ease and welcome. Very busy on a Saturday, do make rsvp. Food was great, overall excellent time had by our party of four! Service was exceptional. Food was great! It's the kind of place you need to go to once, if you live in the area. Fake fireplace a real surprise. Table shaky. Took 10 minutes to get our drink order, even though there were only five tables with diners. Tables too small to accommodate menus, let alone food. Server was friendly and efficient. Three of us went for the first time. What a relief! Elegant and comfy, sophisticated and "country" at the same time. Nothing grandiose in the decor, just "pretty," and inviting. Windsor chairs and white table clothes, real plaster walls, big windows. No screens! Tables full of people enjoying themselves, but not obtruding on others: as if we'd all discovered a special place and didn't want to interfere with anyone else's enjoying it, too. Soft music, but not muzak, attentive but not interruptive waitstaff. We choose from all over the menu: salmon, ribs, pasta, soups, veggies. Everything looked and tasted good. I would suggest some attention to the wine list, just a little more choice, especially on the reds. Thank you! Great view, and mediocre food and service. Truly a hidden gem. A lovely spot for a special night out. The food was exceptional and the location inside Fairmount Park is peaceful and beautiful. Cozy and welcoming atmosphere. Food was delicious and service was excellent. It was a bitter cold day but the accommodations were warm and friendly. We were celebrating a birthday and retirement and the waiter presented a festive dessert complete with a candle and song. Highly recommend! 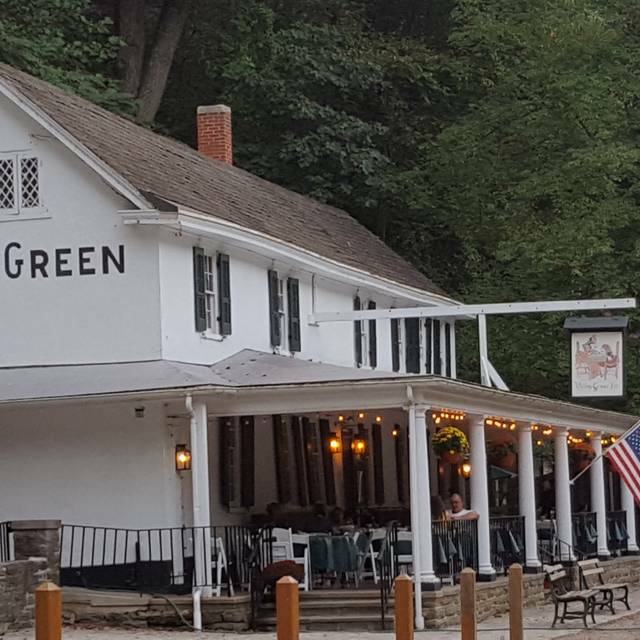 I am having my wedding at Valley Green Inn in a few months, so my fiancé and I stopped by for brunch. The food was great, people are friendly, and the ambiance is quite charming. Highly recommend. My wife and I were looking for a wedding shower venue for our soon-to-be daughter-in-law and found this place online. What a find! Never would have found it without GPS (which took us right to the place). It's located on the Wissahickon Creek (part of Fairmont Park), and very quaint. Food was amazing (we had soup of the day and a sandwich - - never thought I would write such a great review about soup and sandwich, but there you go). Service was also very good. Can't wait to try it in the summer! Enjoyed a wonderful Saturday afternoon lunch with friends. Food and service were both A-1. Everyone in my party thought the food was delicious and well-prepared especially the fish and chips, which was a special. The hot Bloody Mary is a favorite! Can't beat the beautiful park setting. This is normally one of my favorite places to bring friends from out of town this last experience was quite an embarrassment. We had to ask twice for our bread basket, the service was very slow, our food came out cold and we waited way too long for the check. We felt like we were totally forgotten during the whole dinning experience. I think our waiter was having a bad day, it reflected in the service we received. Despite this bad experience, I will continue to dine there, unless it happens again. Love going to Valley Green! Food is always exceptinal, cozy environment, scenic views, wonderful friendly service. 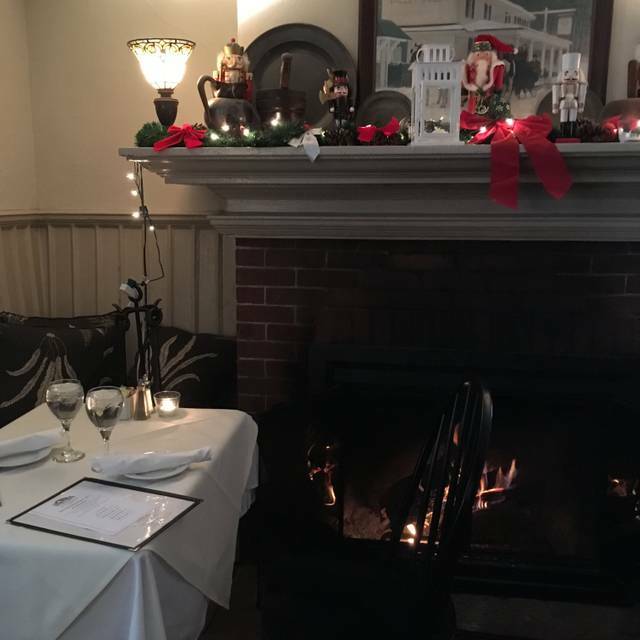 We had a very enjoyable evening, sat in the little nook to the right of the fireplace, love the decorated Christmas tree as usual, and the food was outstanding, my wife who is a vegetarian had the cauliflower confit and the kale salad with tofu, and could not stop talking about how Exceptionally delicious both were. I had the winter salad and the meatloaf, both were delicious . 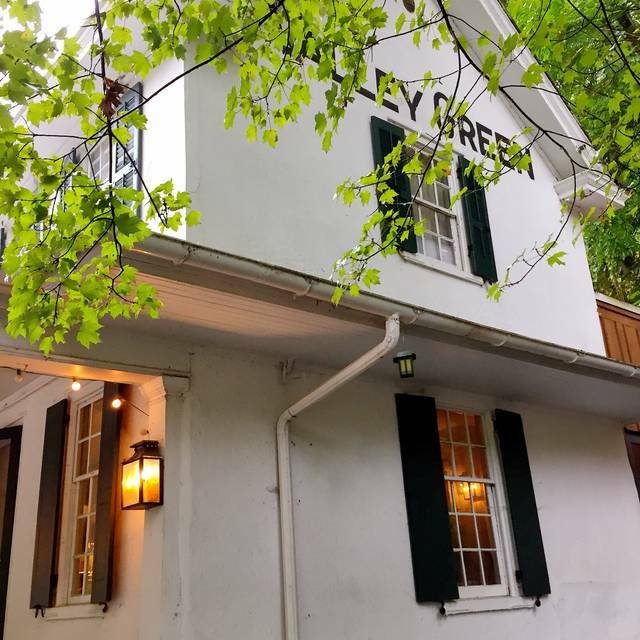 Loved dining at the Valley Green Inn as usual! Food good except for bland Bloody Mary. Attentive and friendly service. Charming atmosphere. I congratulate them for playing classical music that matches the anbience. Last time they played very annoying pop. I was very pleased with the quick seating. The wait staff was awesome. My dish was "ok", however my next dish will be selected more carefully. The lobster bisque is outstanding. Just not worth the price. Very average, rather bland, and nothing imaginative on the dinner menu. You'd think they could come up with a better vegetarian dinner entree than tofu, since there really was only one option. My vegetarian companion had to have two appetizers for his dinner. My fish was well prepared, but had no inventive twist. We could have made that meal easily at home. And sadly, with all that charm, and on a cold wet night, the fireplace in the room we sat in had a cheap, electric log in it. At least, for a colonial period building, the place should have working fireplaces. The staff is very nice, but the prices are high for ho-hum fare. The only way I'd go again would be if I needed lunch while hiking in the park. One of our favorite places - settling and ambiance. However the brunch set menu here is not my favorite. The scones were dry and seemed stale but the raisin bread was fresh and very good. It was not the basket of baked goods that was described on the menu. The entrees were good. We requested plain white bread or rolls but were told there was none, yet one entree had 4 small slices of white bread with no butter. The menu said multigrain bread. Small things, but significant. It is such a special place to go in a beautiful setting with delicious food! Historic location. Great place to stop and dine if you are on horseback riding along the Wissahickon . Excellent service, food and drink. Had an interesting Cider/Moscato drink for lunch. Uuuuu. Desserts to die for but do eat them first:). Moderately priced but a very nice place to eat especially on a nice spring day overlooking the creek. I highly recommend. Consistently good food & quaintness since my first visit in 1974. Great food and cozy atmosphere. I loved the portables sandwich. Waitresses were very attentive. Excellent experience, we went for my wife’s anniversary/ birthday dinner right before closing and it could not have worked out better. Service, food and scenery were perfect. I love Valley Green and I took someone who is very special there for the first time. We walked around until the Inn opened. The food was good, but only came out luke warm. Had to send back the Cauliflower Soup, which was delicious, but the 2nd time it came back warm also. The entrees were the same way. Great taste just need to turn up the heat. Our reservation for Sunday Brunch was for noon. We were told it would only be a few minutes, but we did not get seated until 1 pm, and then at a dirty, unset table. It was completely overbooked, and there were numerous other parties with reservations that had to wait exorbitant periods of time for their tables. The hostess was visibly frazzled and talking to herself, which made the wait that much more uncomfortable. We were not offered any beverages despite the additional hour wait. Once seated, I had to ask for menus (we were seated without them). Then I had to ask again for a wine list (this should've been brought with the menus). Then I had to get up and ask a server to wait on us as we had been sitting for almost 10 more minutes without being greeted. Once we actually sat and got waited on, the service was good (but for a forgotten round of drinks). The food was good...but we go for the atmosphere and the hiking as much as the food. At the end, the restaurant bought us brunch for the debacle with the reservation, which was the right thing to do. They really need to limit their Sunday brunch reservations. Food was not prepared well and service inconsistent.